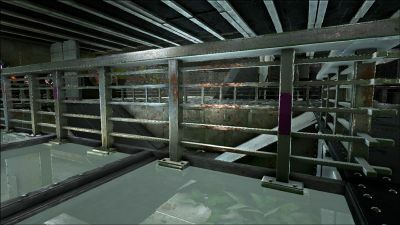 A metal-plated concrete railing that acts a a simple barrier to prevent people from falling. The Metal Railing is the third unlockable railing. A Metal Railing can be placed on any Foundation or Fence Foundation. Railings can be stacked on top of each other to create taller railings or even cages. 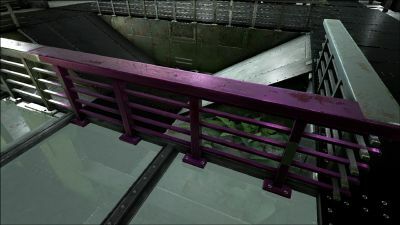 The Metal Railing is treated as a metal structure and can only be damaged by explosives, the Tek Rifle, Tek Saddles, a Titanosaur, Arthropluera, Corrupted Creatures, Enraged Creatures, Titans, Bosses, or the DodoRex. 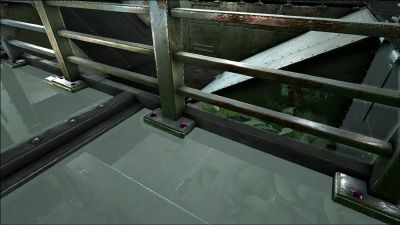 This page was last edited on 26 March 2019, at 21:31.